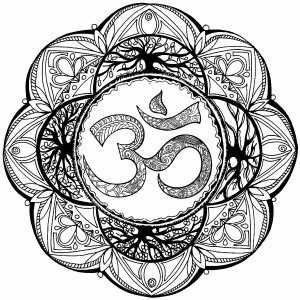 Om, also written as 'Aum', is the most sacred syllable, symbol, or mantra in Hinduism. 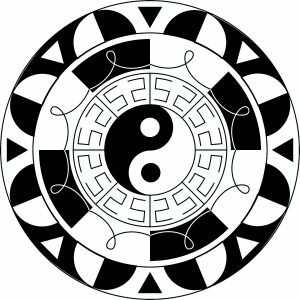 Yin & Yang is an ancient Chinese symbol which represents dual nature of things like light and dark, good and evil, positive and negative. 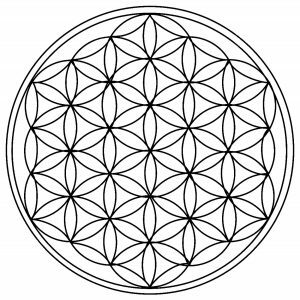 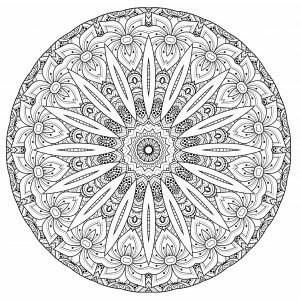 A beautiful Mandala with petals on several levels, and circles at the ends. 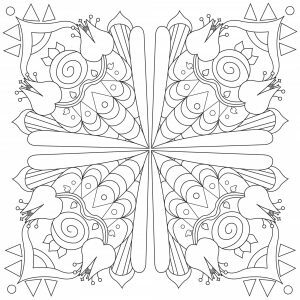 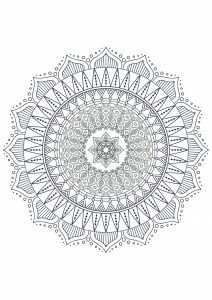 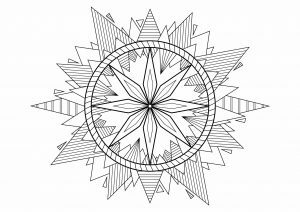 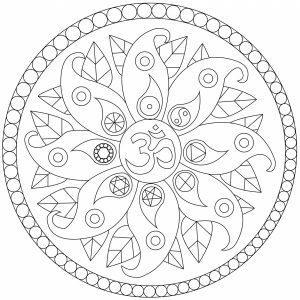 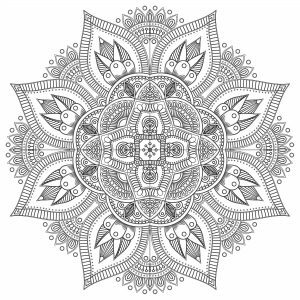 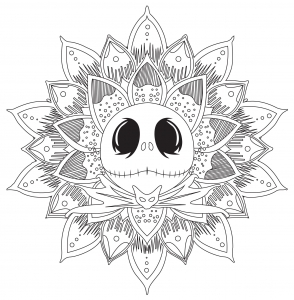 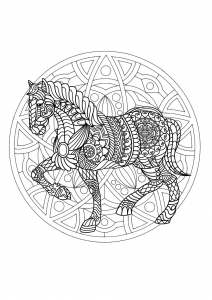 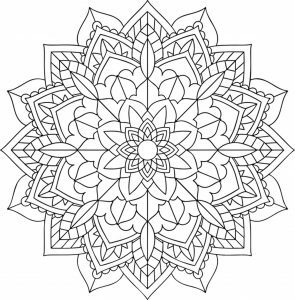 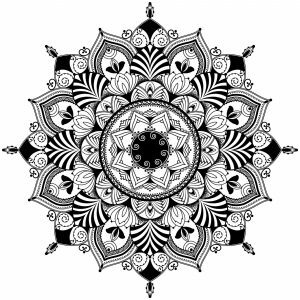 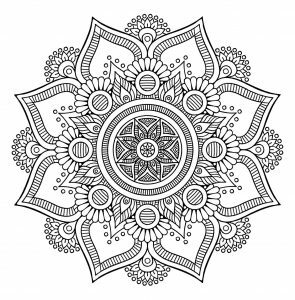 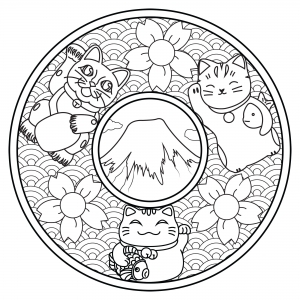 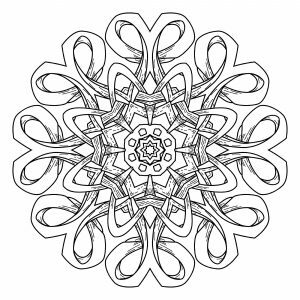 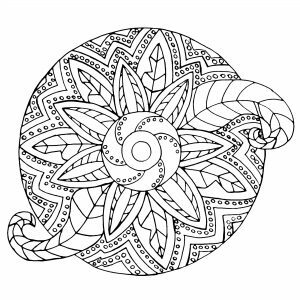 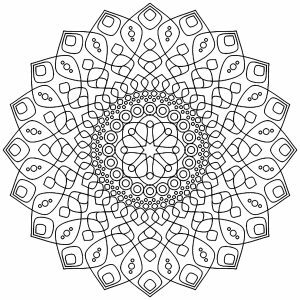 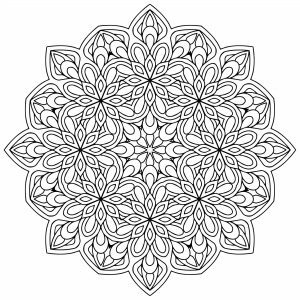 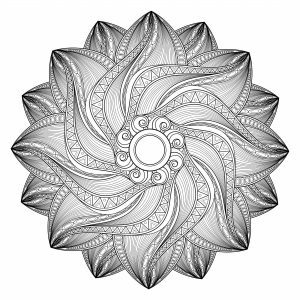 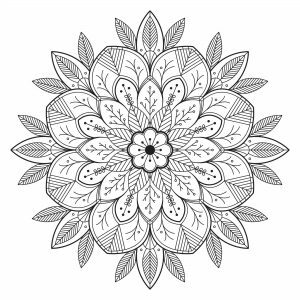 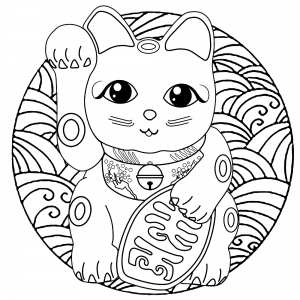 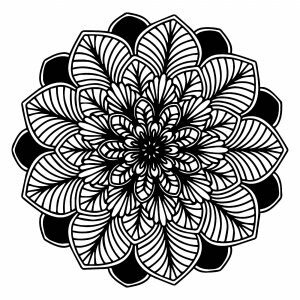 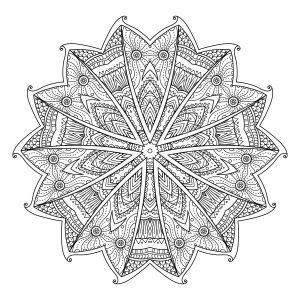 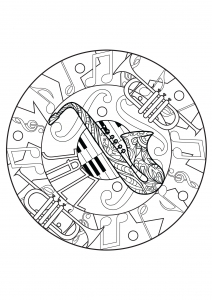 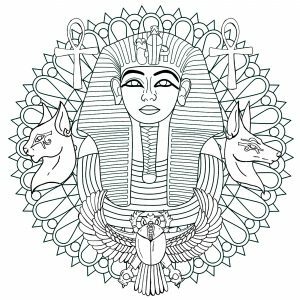 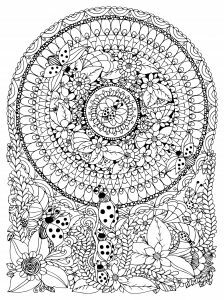 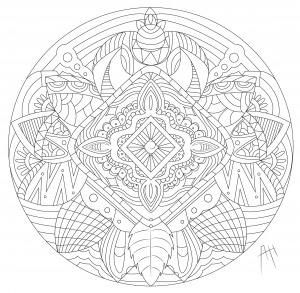 A Mandala coloring page with a lot of details, very unique, perfect if you like cool and relaxing coloring pages. 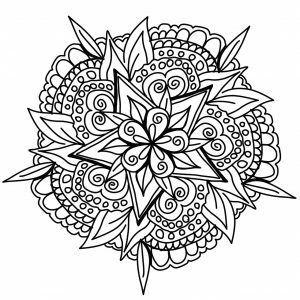 A Mandala quite difficult to color, perfect if you like to color small areas, and if you like various details, and for this one beautiful flowers. 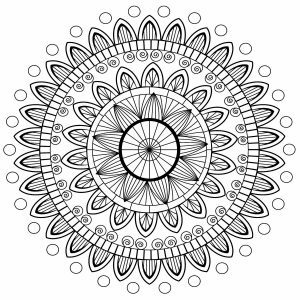 If you like to express your creativity, this Mandala is perfect for you. 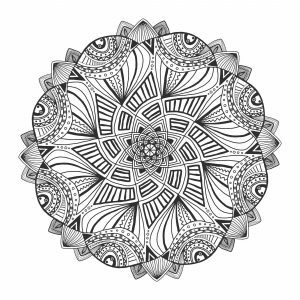 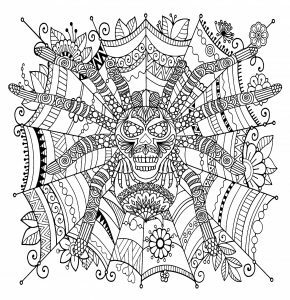 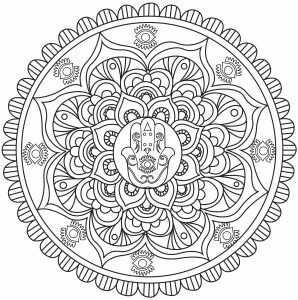 For this cool hand drawn Mandala, you can use few or many colors, it's like you prefer. 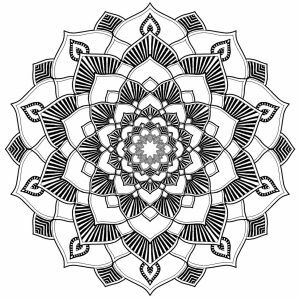 You must clear your mind and allow yourself to forget all your worries and responsibilities.